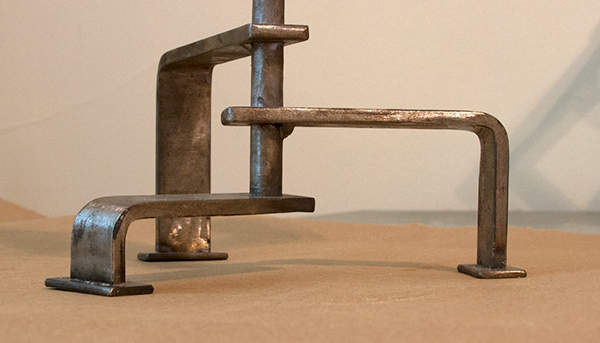 This piece holds 3 standard votive candles. 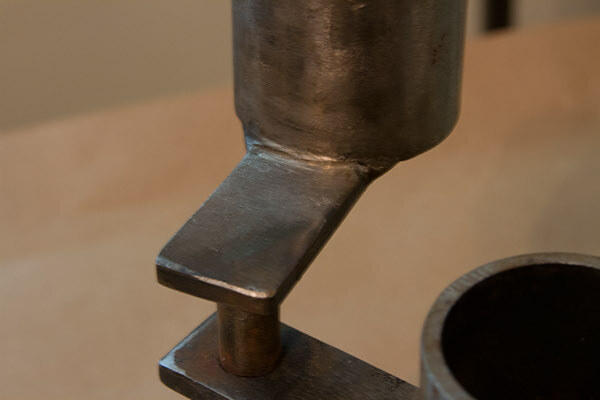 It is made of steel and attached via MIG welds; grinding was done to smooth welds and create seamless joints. 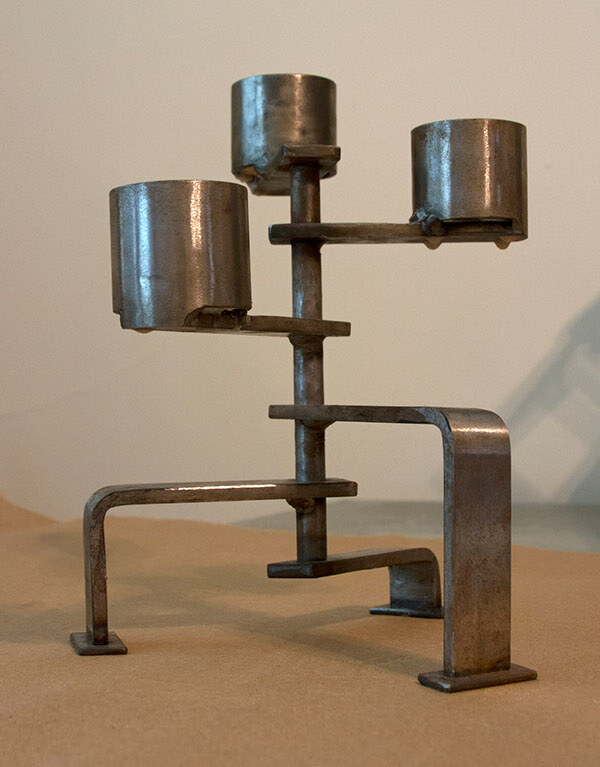 This piece holds 3 votive candles radiating out from a center axis. 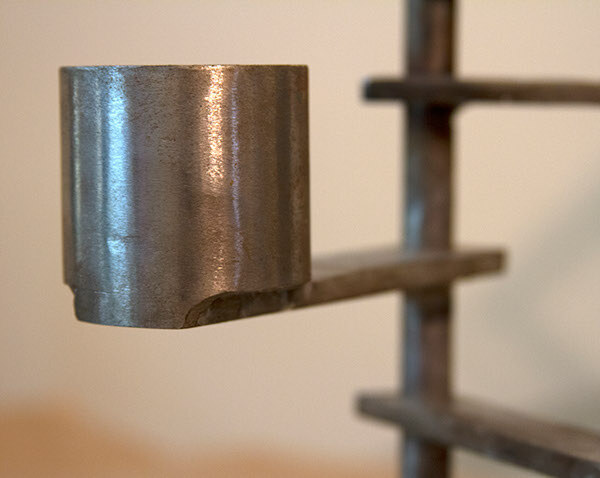 The strength of steel allows the expansive, airy feel and the suspended axis that does not contact the resting surface.